What are people saying about Club MAC? We’re halfway through our busiest part of the season and have been welcoming hundreds of holidaymakers to Club MAC Alcudia over the last few weeks. We always keep tabs on feedback left about our resort by customers, so that we can ensure our service is the best it can be. In this blog we’ve rounded up just a few of the many reviews left on TripAdvisor by recent visitors, including families and couples. They’ve been edited for brevity in some cases, but you can see them all on TripAdvisor. 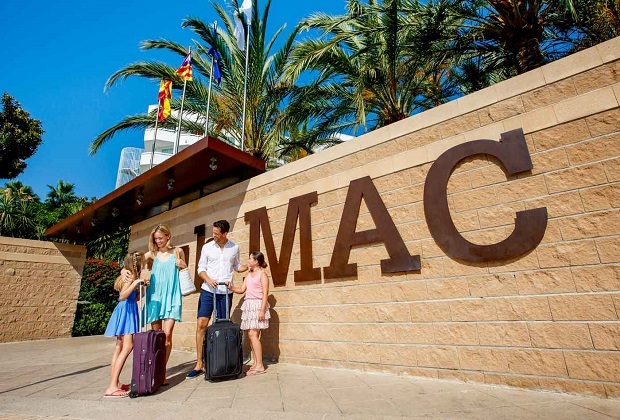 It’s a great way to find out whether Club MAC Alcudia should be your choice for your summer holiday – we think you’ll love it! “We booked this holiday before we even returned home from Club MAC last year… there were MORE than plenty of food choices on offer and themed each day… All of the pools were absolutely fab, with Club MAC staff carrying out a busy timetable of activities each day with no pressure to join in… there were queues at each bar but they soon went down… The staff here are phenomenal, they work tirelessly all day every day to ensure everyone is entertained and looked after.” Reviewed 06/08/2018/. “Club MAC is a great family resort. The hotels are kept very clean and the staff are very friendly and always willing to help with anything. There is so much to do in and out of the resort for all ages. The water park is great fun and the beach is stunning! We’ll definitely be returning.” Reviewed 06/08/2018. “From arrival to departure, the staff are always customer-orientated. Rooms are cleaned every day and the resort is constantly being cleaned. The food was nice with a different theme night for dinner every night and a lot to choose from. Entertainment for the kids was brilliant, there’s lots for them to do and then at night the entertainment for the adults is great. We will definitely be there again next year.” Reviewed 02/08/2018. Check back for new reviews every day and find out why you should book your holiday at Club MAC Alcudia. We can’t wait to meet you!